Talking about fashion influence, I was a big fans of Vintage 50's Fashion before knowing Kpop Halyu. Mostly, I'm wearing this 50's fashion style for a formal occasion, such as going to church and or attending a wedding party. But since I knew Kpop halyu fashion style, the way it is much more suit for my office daily outfit, I begin to wear oversize T-shirt or Polo shirt with jeans and sneakers. 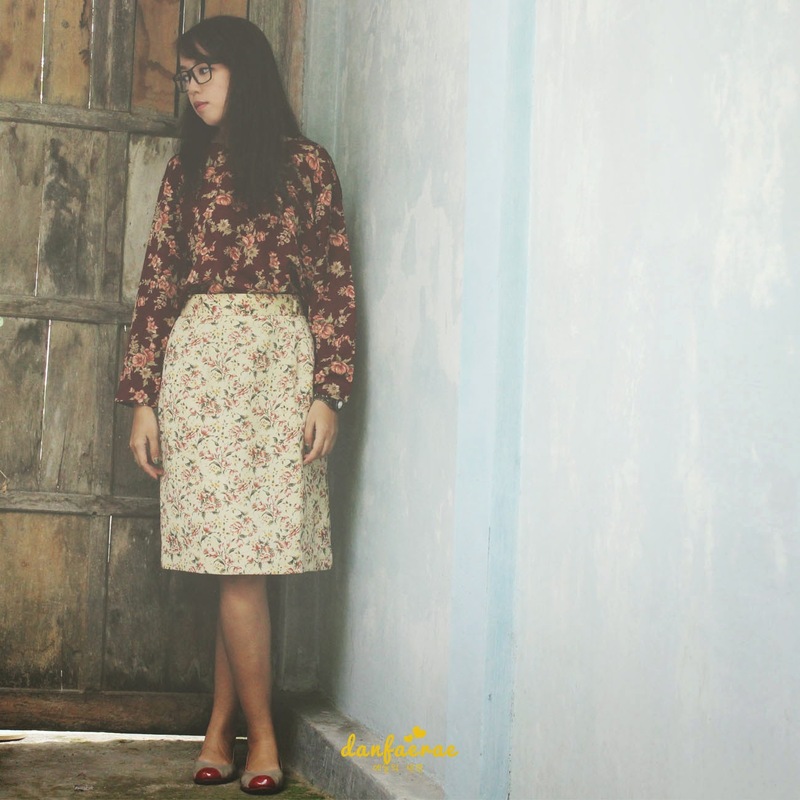 I found an online shop that provide vintage outfit in instagram, it is ooopshop. Here's one of the among collection I got from them. My mom said this is such a bold mix and match, since both top and bottom has different pattern, but I think it's a quite match. what do you think?